Stock buybacks soared to a record $1.04 trillion in 2018 during a historic bull market fresh on the heels of the Tax Cuts and Jobs Act that cut the corporate tax rate from 35 to 21 percent. 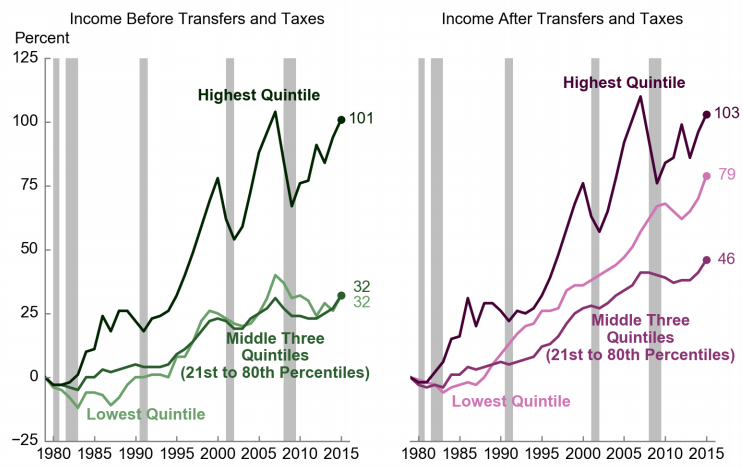 Schumer and Sanders argue that such a spike exacerbates income inequality because capital owners have seen their portfolios and wealth grow in value while middle management down to the working class deal with meager-to-flat wage increases. The second claim made by Schumer and Sanders is that buybacks infringe on a company’s ability to reinvest in itself. “When corporations direct resources to buy back shares on this scale, they restrain their capacity to reinvest profits more meaningfully in the company in terms of R&D, equipment, higher wages, paid medical leave, retirement benefits and worker retraining,” their column states. Research and development spending as a percentage of GDP has remained largely constant in the United States over the past several years even with the surge in buybacks. Spending at businesses, government and higher education has hovered between 2.5 and 2.82 percent since 2005, according to the World Bank. As of June 30, 2018, the top five cash holders of U.S. nonfinancial companies were Apple, Microsoft, Alphabet, Cisco and Oracle, five enormous technology companies renowned for their reinvestment and innovation. At that time, capital expenditures — funds used by a company to acquire, upgrade, and maintain property, industrial buildings, or equipment — consumed the largest portion of cash flow from operations. Capital spending totaled $830 billion for the 12 months ended June 30, up 9 percent from calendar 2017. “Buyback activity is, if anything, a complement to other corporate activities that are more long-term in nature,” Bernstein’s Weisberger added. “When looking across stocks in the S&P 500, a company’s buyback yield tends to be positively correlated with R&D spending and employment growth. While the correlations are modest, at the very least, buybacks are not coming at the expense of these other activities in a systematic way,” he wrote.